At AAMA, we stand for our members. And when you join us, you’ll find that AAMA certainly stands for you. AAMA is your voice for support and action at all levels of the national regulatory process for the building industry. Every year, we proactively and effectively influence codes, construction and specification issues. And we’re particularly active in the Western and Southeastern regions of the U.S. With this kind of local, grassroots representation, we are able to provide focus and direction on issues that are of special concern in your part of the country. What’s more, AAMA continually monitors and reports legislative activities to keep you up-to-date on important developments. At AAMA, we partner with a variety of industry organizations to broaden our influence and advance the causes of our membership. As the leading trade association for the fenestration industry, we are always working to make our members more successful. To us, this means being a constant source of research and information. One of our initiatives is product research which allows us to help steer the direction of the industry and validate performance criteria. We also conduct annual market research studies to help you identify trends and future marketplace activity. In addition, we keep our members informed via our robust website, which includes exclusive Members Only content, as well as newsletters that address topics impacting the industry. Beyond our own membership, AAMA is also reaching out to marketplace professionals via accredited educational programs as well as webinars. These tools provide a valuable opportunity for professionals to expand their knowledge of the fenestration industry. 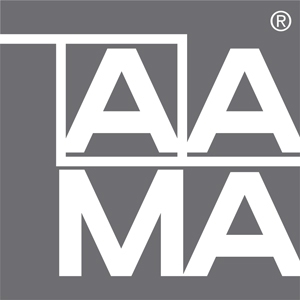 Throughout our long history of industry leadership, AAMA has become recognized around the world for the development of comprehensive standards that provide third-party validation of product performance and quality. We also continue to develop specifications, test methods and technical information reports. In short, we are committed to quality. To promote and ensure the highest standards, we are involved in a multitude of activities that monitor the products and processes in our industry. Windows, doors and skylights that bear the AAMA Certification Gold Label are manufactured to performance standards for air and water infiltration at the specified pressures, structural integrity, and resistance to forced entry. And as optional tests, windows may also be certified for thermal performance, impact resistance, mulling, acoustical performance and other characteristics. What’s more, the label represents that samples of major component parts have passed separate performance standard tests. Component manufacturers must submit samples for testing and be in full compliance with AAMA standards as validated by the third-party program administrator. This certification program consists of laboratory and weatherability testing of polymeric profiles randomly selected by AAMA’s Program Administrator. Laboratories that conduct specific product testing in support of AAMA’s Certification Programs must pass rigorous qualifying inspections. By becoming an AAMA member, you can open up a world of opportunity for you and your company. We provide educational programs to communicate information about fenestration product performance, allowing members to meet professional license requirements and broaden their industry knowledge. And our website offers a convenient resource where professionals, manufacturers and even homeowners can access a wide array of valuable information. AAMA hosts national conferences and regional meetings each year. These are forums for understanding and advancing the work of the Association. They’re also a chance for our members to network, develop new business opportunities, learn about new product offerings, and discuss current issues. As an AAMA member, you can have a direct impact on the future of the fenestration industry not to mention, your own business. One way is through our Product and Material Councils, which give you a forum to address concerns specific to your business segment.